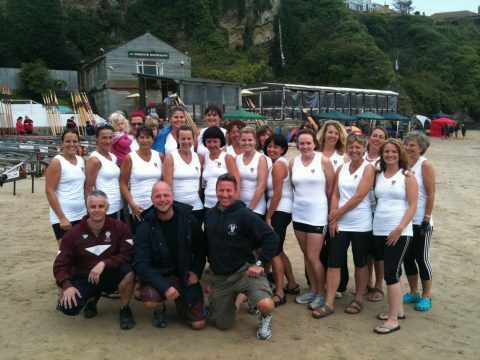 Well done to everyone who rowed at Newquay this weekend. 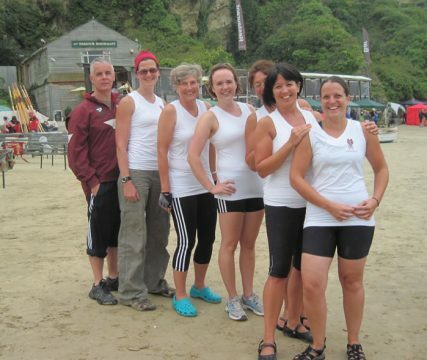 The club record of 18th was equalled by Ladies B, who rowed consistently well in each of their races. A brilliant result! The weekend never seemed destined for success for anyone as the forecast for Newquay was dreadful on Saturday afternoon and even more dreadful on Sunday. 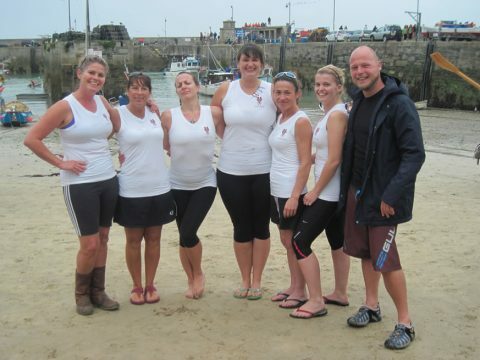 Undeterred we all shipped down to Cornwall’s premier holiday destination for the County Championships. The weather was pretty much as predicted on Saturday with a reasonable start but clouds, rain and swell built as the day wore on. The first race for all crews was fairly uneventful (ropey starts, flakey umpiring and of course the LB-only 10 second penalty aside) with LA and LB going through to Round 2. 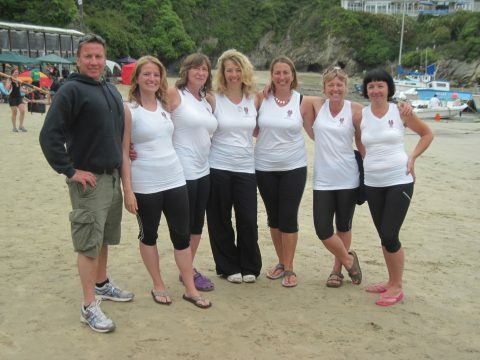 LC had an excellent race but a really unlucky start and some of the least favourable weather conditions.FMPGC was one of only 9 clubs to field 3 Ladies crews at Newquay this weekend and our Ladies C had a fantastic race on Saturday beating Porthleven A in their heat: overall they beat (in addition to other B and C crews) Porthleven A, Barnstaple A, Mevagissey A, St Agnes A, Cape A and Yealm A. Due to the poor conditions, Round 2 was postponed until Sunday which dawned bright and sunny.Swell had increased overnight and conditions were still pretty challenging. 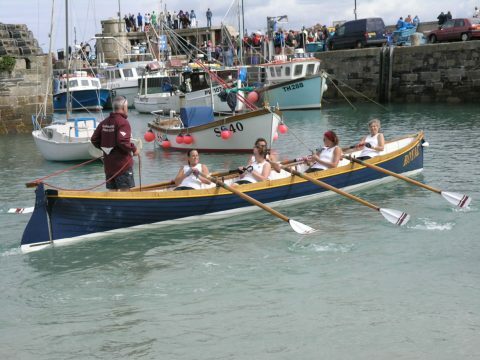 Round 2 saw LB going through to the Quarter finals after a closely-fought heat (and a broken pin on the top leg ) to finish 2nd behind Swanage but this time ahead of Fowey A (who pipped LB on Saturday) ;Zennor A; Rock A; Cattewater A. Barry’s long-standing coxing experience saw us in great stead on the home leg ! LA suffered with a broken stretcher and an incredibly difficult heat in Round 2, but they were first to the bar! The Quarter finals were more choppy again and LB drew a very difficult heat. The race went very well with LB’s quickest time to the first buoy of the weekend but they were the last boat home – with big smiles, fantastic cheers and loads of support from everyone who stayed to watch (the other 5 crews in this heat all went on to qualify for the semi-finals!). So last boat home but still in under 18.00 min. Overall a great event with very respectable 68th, 33rd and 18th places achieved overall! A massive thank-you to Barry, Tommy and Neil for coxing but mostly to our amazing Bridget for towing there and waiting for several hours on Sunday in wind and rain to tow back.